This article will provide you with solutions to these common problems so you can reduce some of the frustration associated with your warewashing program, and achieve success in 2018 and beyond. Let's get started. 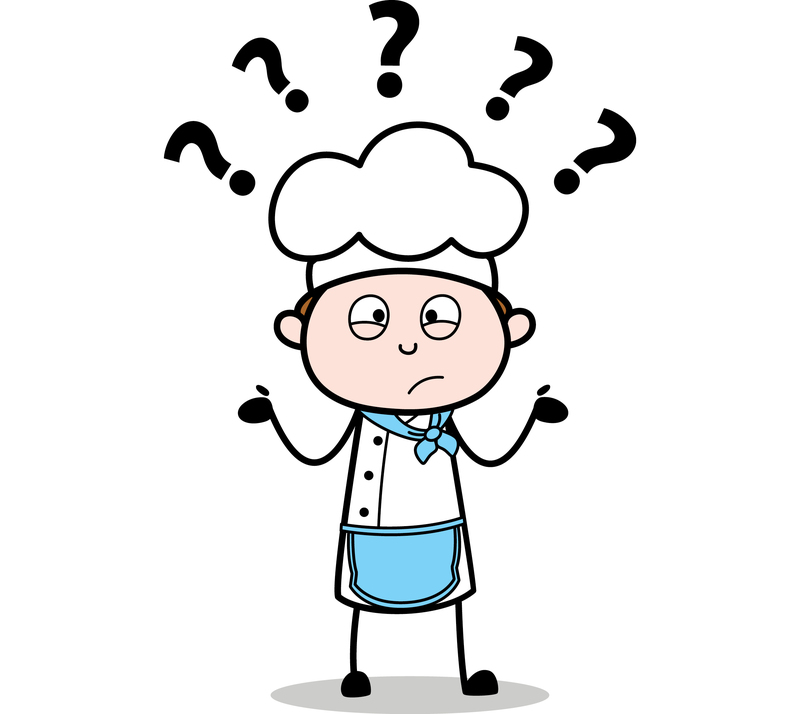 Ergonomics is an essential element of foodservice job design. According to Procedia, ergonomics is the study of people at work, and the practice of matching the features of products and jobs to human capabilities, preferences, and the limitations of those who are to perform the job. The primary focus of ergonomics is to ensure that the jobs and tasks at your business are designed for safe and efficient work, while also improving the safety, comfort, and performance of employees. A major ergonomics issue within the foodservice industry is in regards to the quality and functionality of dish racks and glass wracks. If your employees are apprehensive about or refuse to move dish racks and glass racks, it could be due to the pain inflicted by the racks' massive weight. Keeping your employees safe and pain-free is critical to the success of your foodservice operations. 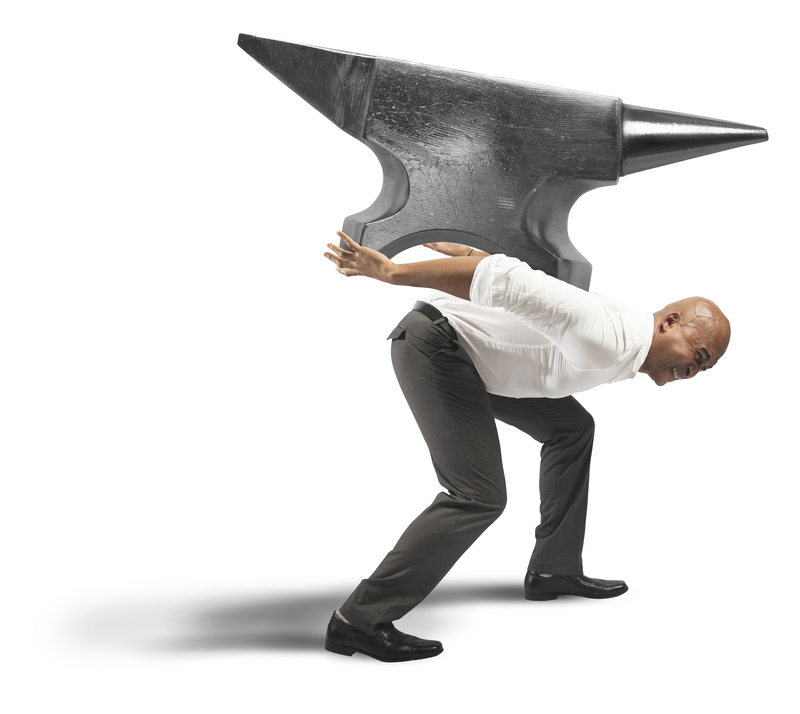 If employees injure their hands and backs, it could result in time away from work. As you know, time away from work will lower your overall productivity, and may even leave you responsible for a pricy worker’s compensation claim. An excellent way to help make moving dish racks and glass racks more manageable for your employees is to invest in quality racks with wide handles on all four sides. 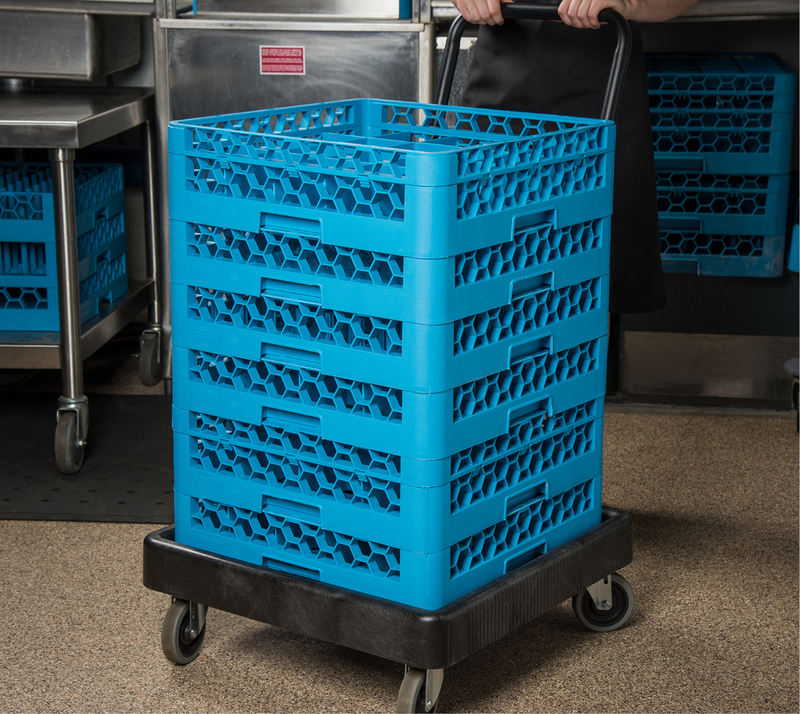 Wider handles will allow your employees to maintain a stronger grip on dish racks, making it easier and less strenuous to pick up and transport them. It’s also a good idea to invest in rack dollies to make transporting your racks much easier and less physically straining. Carlisle offers an excellent line of high-quality dish racks and affordable glass. Carlisle Opti Clean ™ Dish Racks: Our line of Opti Clean ™ Dish Racks are a great solution to help you clean even the most fragile tableware. These affordable dish racks, with their sturdy double wall construction, are the safest and most sanitary cleaning choices on the market. Best of all, they come equipped with Comfort Curve™ handles, which your employees will love. OptiClean™ NeWave™ Glass Racks: Carlisle’s line of OptiClean™ NeWave™ glass racks will help you reduce your chemical usage and labor costs by holding 20% more glasses than other square glass racks. The rounded design of these racks will keep your glasses securely in place, resulting in less movement and breakage. Best of all, these high-quality glass racks are available with color-coded extenders to help you quickly identify your glassware. E-Z Glide™ Rack Dollies: Rack dollies are a necessary accessory to help your employees transport heavy loads of glass-filled racks. Our line of glass rack dollies will help take the stress off your employees' backs, making them more productive and less likely to injure themselves. This line of rack dollies will hold and transport any 19-3/4” square stack of glass racks. Each E-Z Glide™ dolly can hold up to 350 pounds of dishware and include a convenient drain feature to make emptying water easy. The Carlisle E-Z Glide™ rack dolly is worth every penny and will help you keep your employees safe, healthy, and happy. Successful quality function deployment, (QFD), should be one of your top priorities for 2018. QFD is the process of determining what will satisfy and exceed the expectations of your customers. Procedia identifies four customer wants in foodservice: shorter time for food delivery, fast order taking, good taste of food served, and a pristine dining environment. In this article, we will focus on the first customer want; shorter time for food delivery. An excellent way you can ensure your customers experience shorter wait times for food delivery is to keep your kitchen organized. Carlisle has a full line of foodservice products to help you stay organized and please your customers. OptiClean™ Color-Coded Glass Racks: To be successful in your operations you need your glasses to be at the right place at the right time. You can achieve this with the help of color-coded glass racks. Color-coding can help you determine what type of glass you're moving, as well as indicate where they need to be placed. For added assurance, you can even write the location right on the accessory to the rack to avoid confusion when it comes to washing or transporting. Branded Washracks: At Carlisle, we understand that your brand is valuable. That’s why we offer imprinted wash racks to help you increase your brand's awareness. 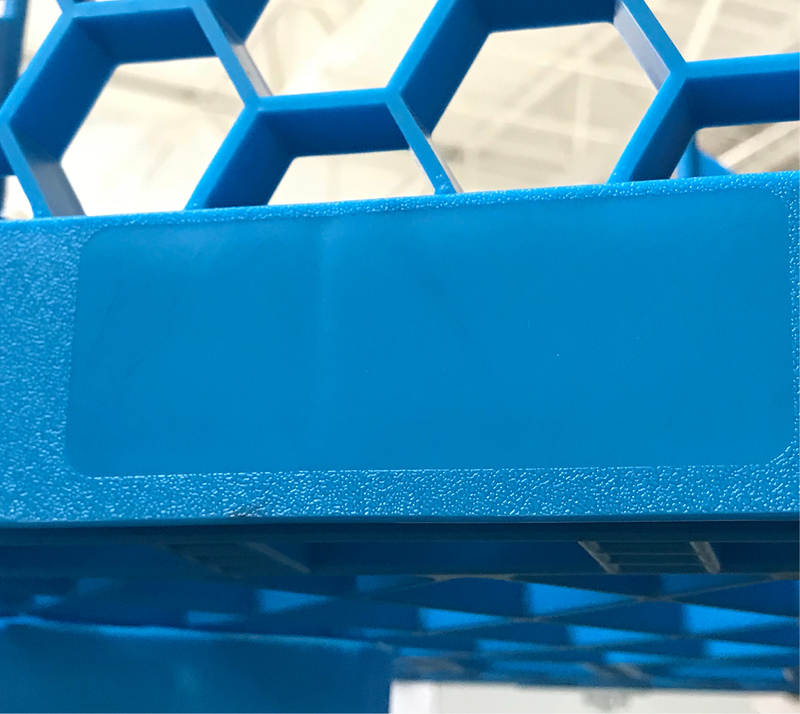 Customers see your washracks more often than you think, thus molding your logo into your dish racks will help create brand recognition, and provide an aesthetically pleasing look to a product that usually appears as an eyesore. One of the single most significant issues with any warewashing process is the inability to keep drinkware sparkling clean. Keeping your drinkware looking clear is critical to your company's reputation. 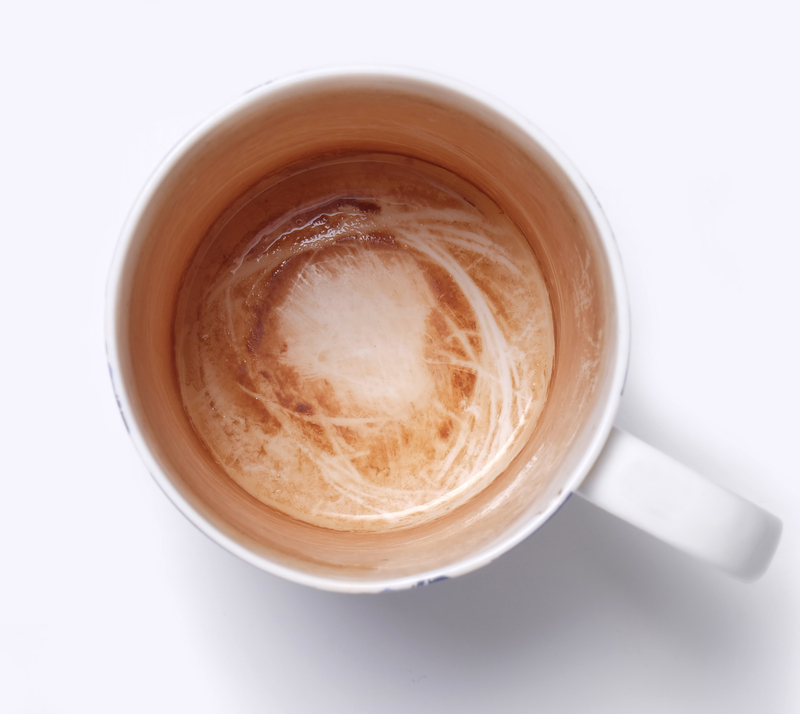 Dirty drinkware can leave your patrons disgusted and could result in adverse word-of-mouth. Retail Customer Experience advises that on average a person tells 16 people when they have a terrible experience at a restaurant. This startling statistic displays the criticality of ensuring each piece of drinkware remains sparkling clean. If you’re experiencing difficulty keeping your dishware clean, we’ve got some tips to help you out. Carlise Warewashing Products: Carlisle offers a wide variety of quality warewashing products including glass racks and dish racks. 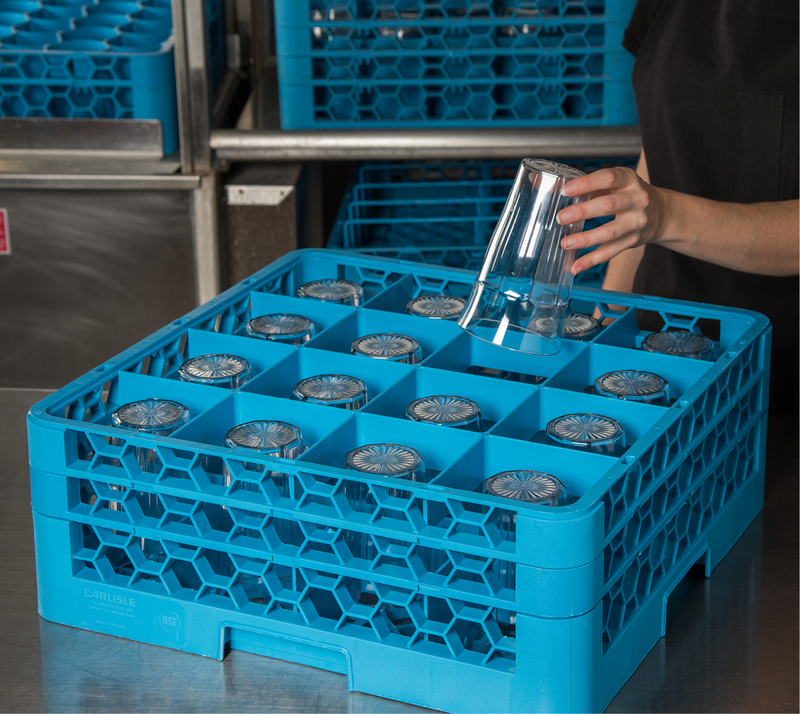 The honeycomb design of our warewashing racks eliminates sharp edges that harbor dirty water and food particles, ensuring your dishware comes out clean every time. Carlisle technology uses open wall design with an open extender at every level to ensure soap and water can flow freely to every part of the wash rack, and thoroughly clean your glasses. 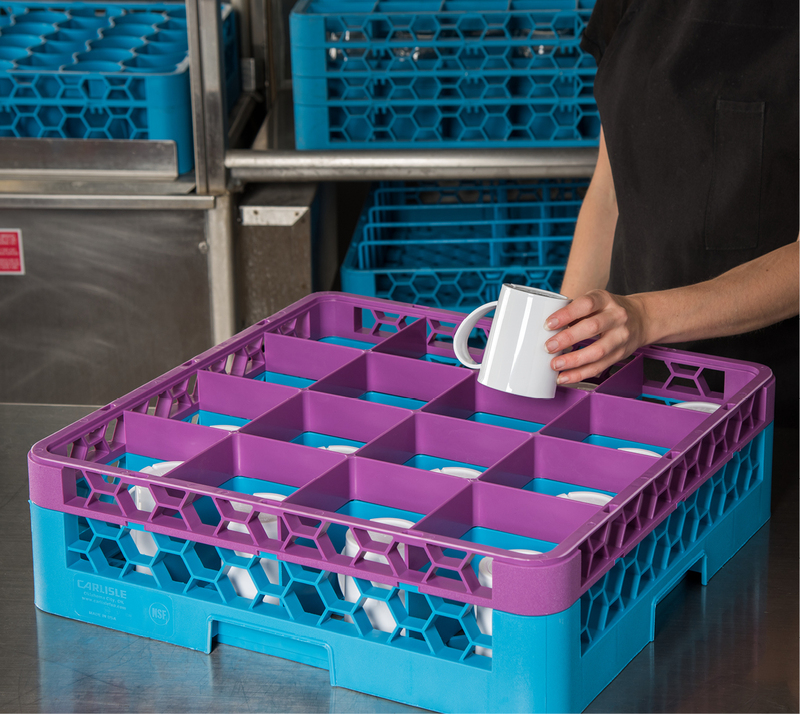 Carlisle Rack Covers: After your glasses and dishware are clean, it's essential to let them sit out in the rack overnight. To ensure they stay clean enlist the help of Carlisle rack covers. Our hardcover dish rack covers protect all products in the glass rack during the drying process. 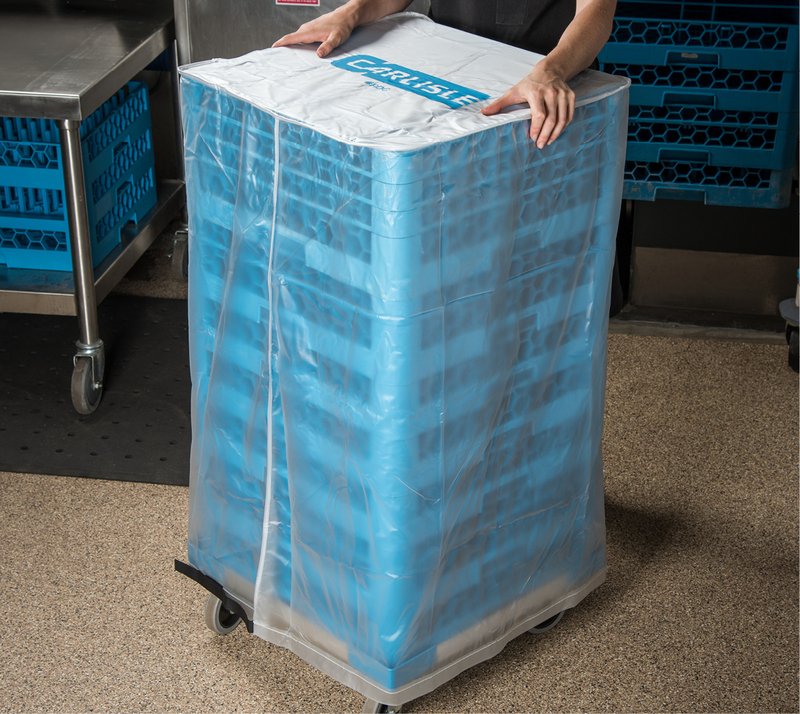 You can also utilize these warewash rack covers to keep your dishware clean and safe during storage. If you are frustrated with your warewashing process, you’re not alone. There may be times where you feel like giving up entirely; however, it's important to remember the importance of this process. 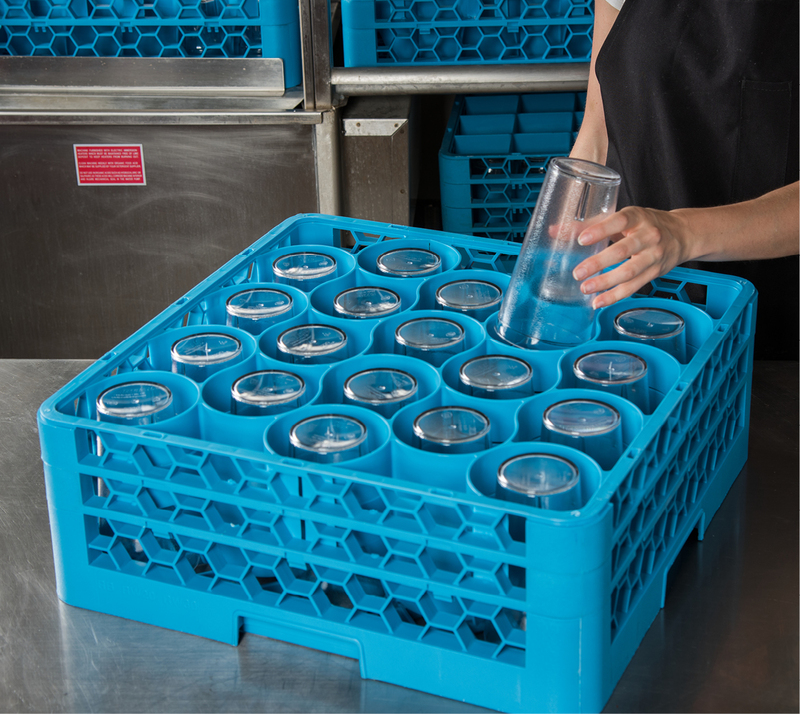 Carlisle offers a broad selection of warewashing products including glass racks, dish racks, rack dollies, rack covers, and color-coded glass racks to help you solve common problems associated with warewashing. These high-quality warewashing products will help you take your warewashing program to the next level. A successful warewashing process at your company will help you exceed your customers’ expectations, and keep your employees safe and happy for years to come.